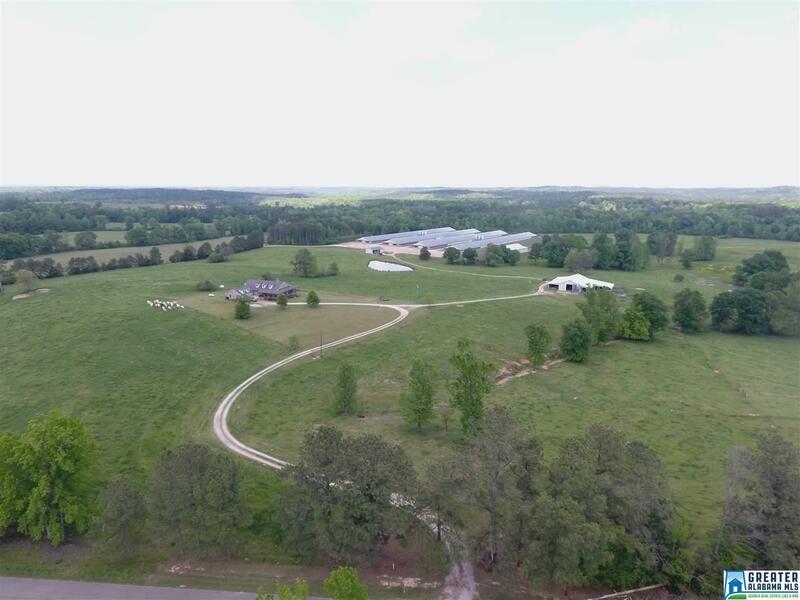 75 +/- acres cattle and poultry farm. Consisting of a 2900 sq ft brick home, (4) 66&apos;x600&apos; poultry houses, 75+/- Acres of cross fenced pastureland, 40&apos;x80&apos; shop with concrete floor, 80&apos;x100&apos; hay barn and dry stack, caretaker apartment, and 1/2 mile of Wehadkee Creek frontage. Poultry house equipment consists of: (2) Baldor 250kw generators, Roxell grain bins, Rotem controllers, Big Dutchman feeders, Plasson water on demand, Plasson waterlines, and Bigfoot tube heaters. Average income on the 4 poultry houses is around $380,000!